Concerts, a light festival, book fair, exhibitions and more—all in Rangoon this week, as picked by The Irrawaddy. 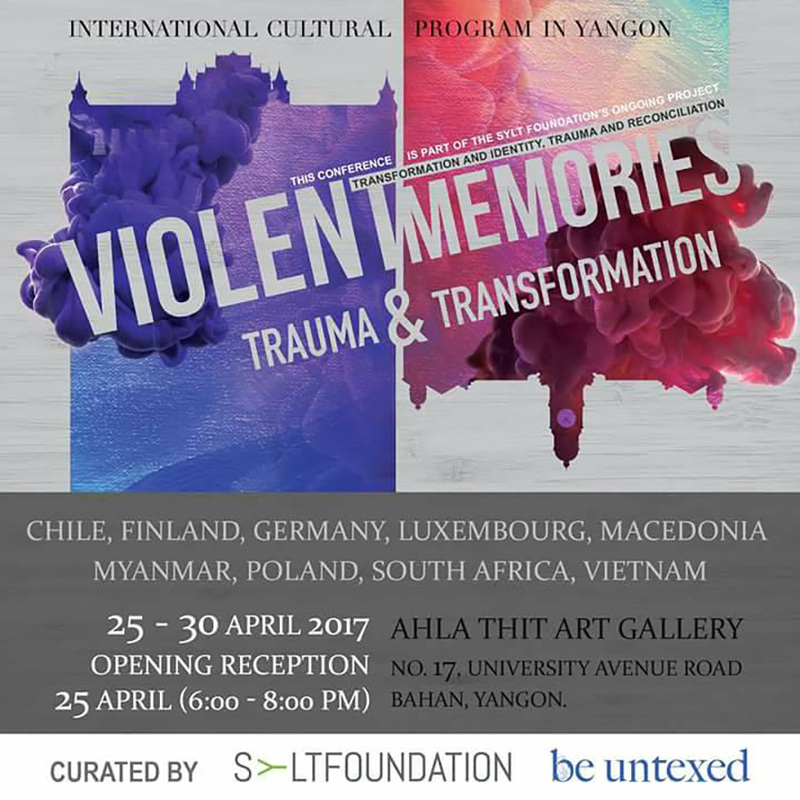 Ten writers and poets from Macedonia, Chile, South Africa, Germany and Burma come together for a public reading to explore the essence of trauma. Lights in various shapes and designs decorate the park throughout the month of April at this festival. Everyday until April 30. 5:30 pm to 10 pm. People’s Square. Admission is 3,000 kyats. More than 100 bookshops sell discounted goods and offer sessions on translation literature. April 4-May 1. Printing and Publishing Enterprise Building, Theinbyu Street. 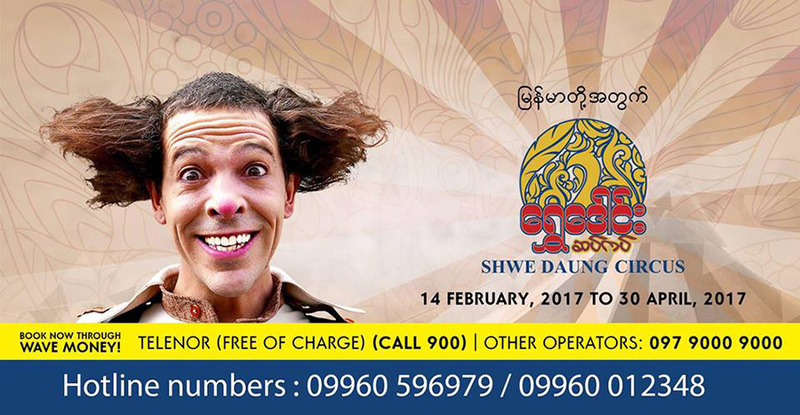 Shwe Daung Circus has been performing in Rangoon since February and will continue until the end of April. Every Thurs. and Fri. at 8 pm, Sat. at 3 pm and 8 pm, Sun. at 11 am, 3 pm and 6 pm. People’s Park (Dhammazedi Road Entrance). 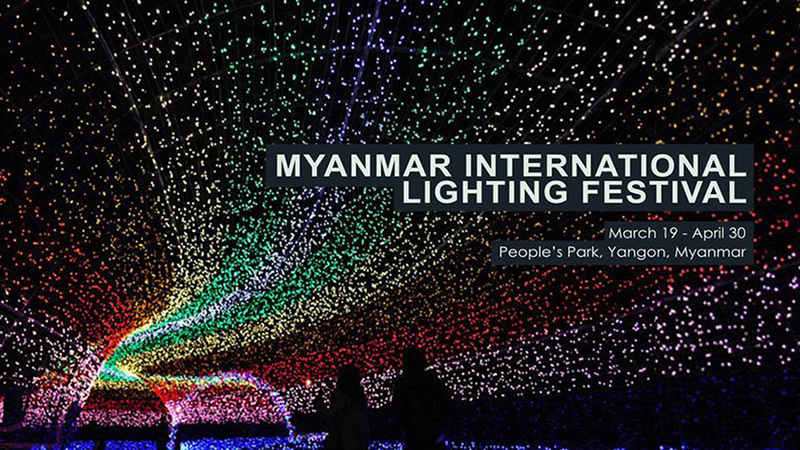 Tickets start at 5,000 kyats available at City Mart or 09-960012348. 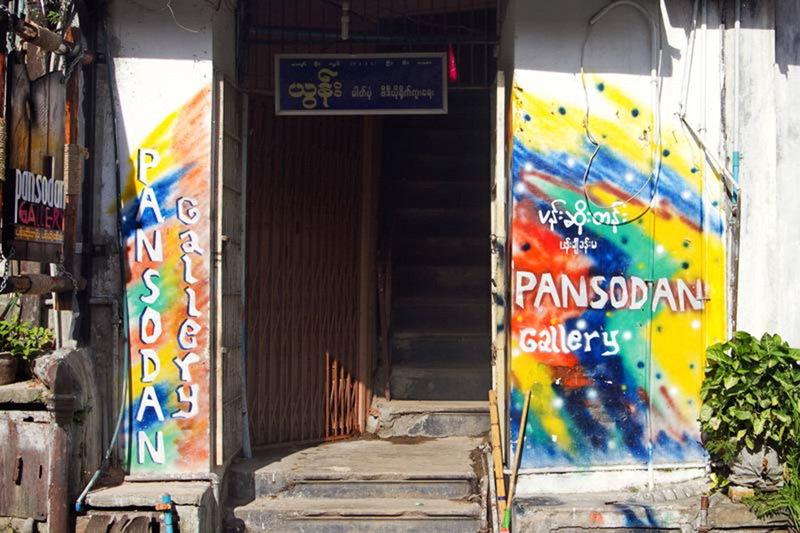 Every Tuesday evening Pansodan opens its gallery space for a gathering, where all sorts of people enjoy conversation and beverages until late at night. Guitars generally come out after midnight. Every Tuesday, 7 pm. Pansodan Gallery, Pansodan St. Free admission. 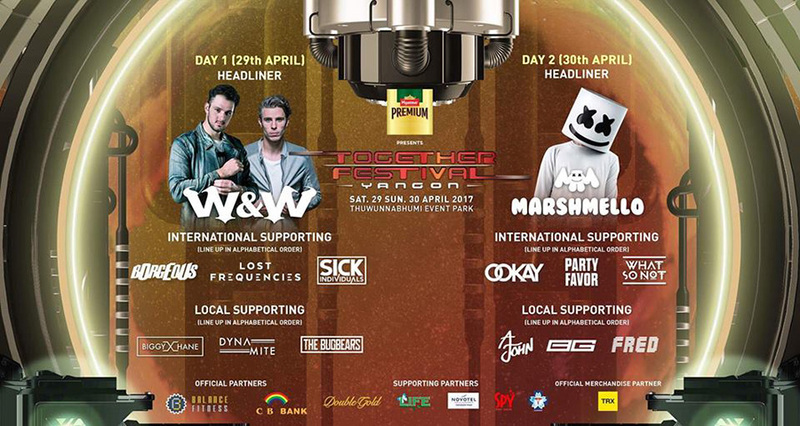 This EDM event is back for the third time, featuring local and international DJs. April 29, evening. Thuwunnabhumi Event Park, Thingangyun. Tickets sold at Fuse in Myanmar Plaza and Ice Cream Bar in Junction Square and Junction Maw Tin or Tel: 09-775007750. Headliner ​Mike Cottone – a jazz trumpeter from New York and the prestigious Thelonious Monk Institute of Jazz, joins Burma’s accomplished jazz musicians including the 88 Degree Band, the Bamboo Trio and the ISY Jazz Band. April 29, 7 pm. Institut Français de Birmanie, Pyay Road. Free Admission. DJ C-Thu & Mike (TRACK 404 Myanmar DJs Crew) will spin at Muse Bar. April 29, 10pm until late. Muse Bar. No. 330, Ahlone Road, Dagon Tsp. Entry fee is 5,000 kyats. 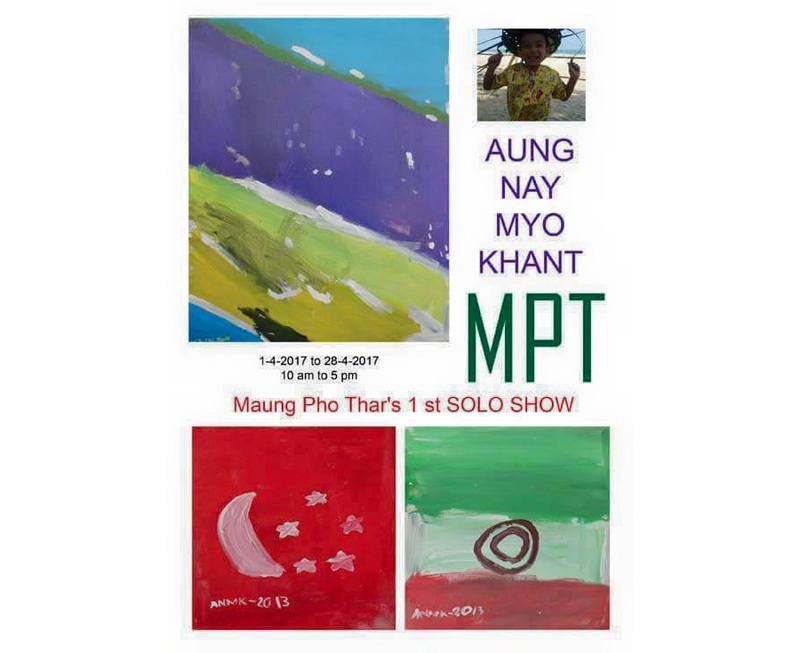 Ten-year-old artist Aung Nay Myo Khant will showcase 41 acrylic works at Eternal Art Gallery. April 1-28. Eternal Art Gallery, Yuzana Garden Housing. 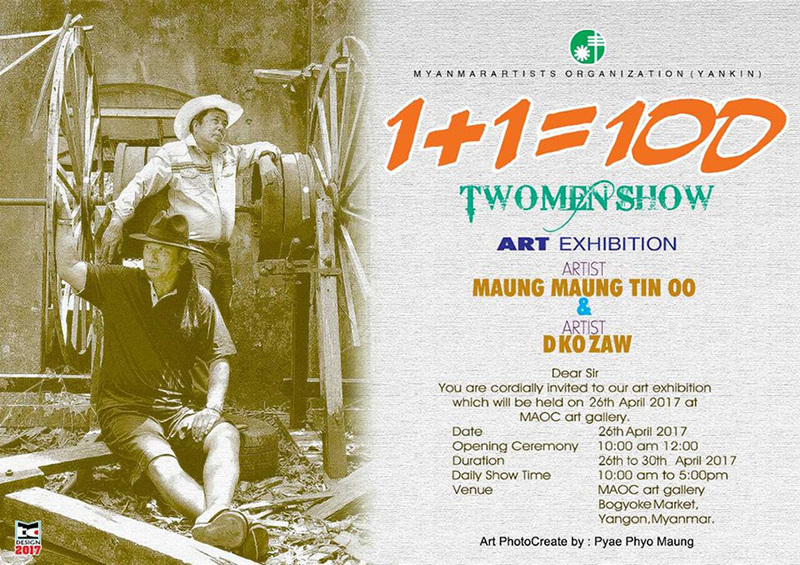 This exhibition of artists Maung Maung Tin Oo and D Ko Zaw will feature 30 acrylic works. 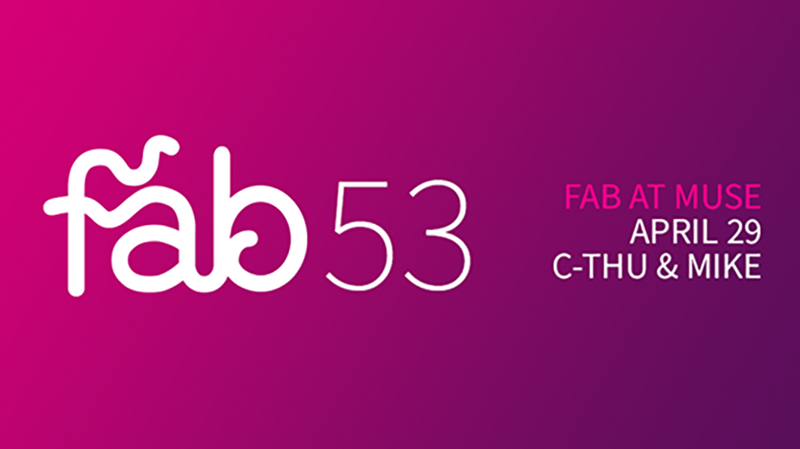 April 26-30. Myanmar Artists and Artisans Organization (Central), Bogyoke Market.